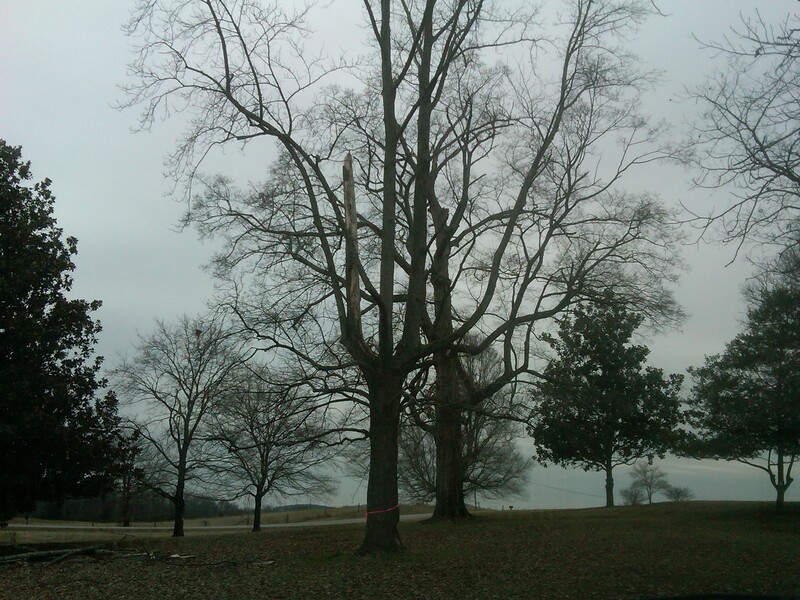 This Tulip Poplar, Tennessee’s state tree, was between 80 and 100 years old. It was a magnificent, gorgeous tree with lots of orange and yellow flowers in spring. Lightning hit the tree two summers ago. According to tree experts, lightening basically vaporizes the root system and kills the tree instantly. We gave the tree another full year but it didn’t come back to life for us and large branches began falling out. So I called “Bulldozer John”, the guy who can do anything from excavation to any sort of farm work. 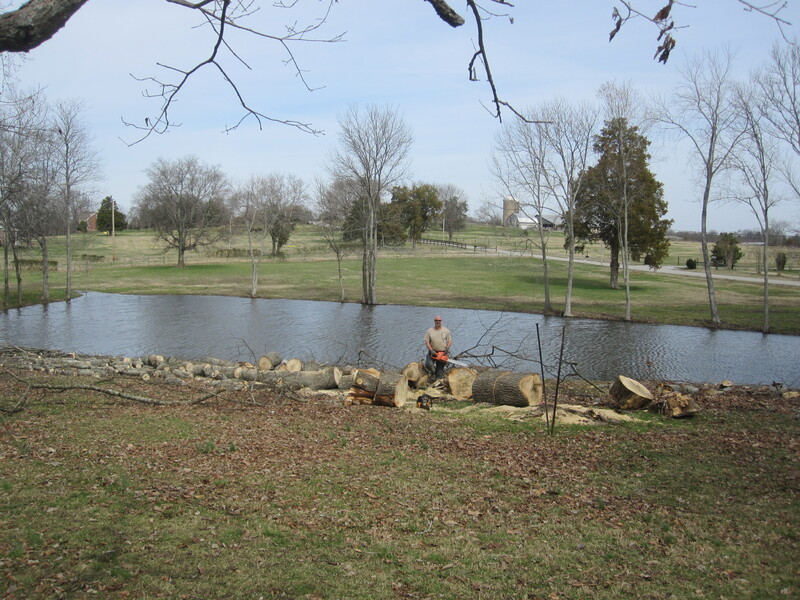 He took the tree down and spent the next day and a half cutting it into firewood. 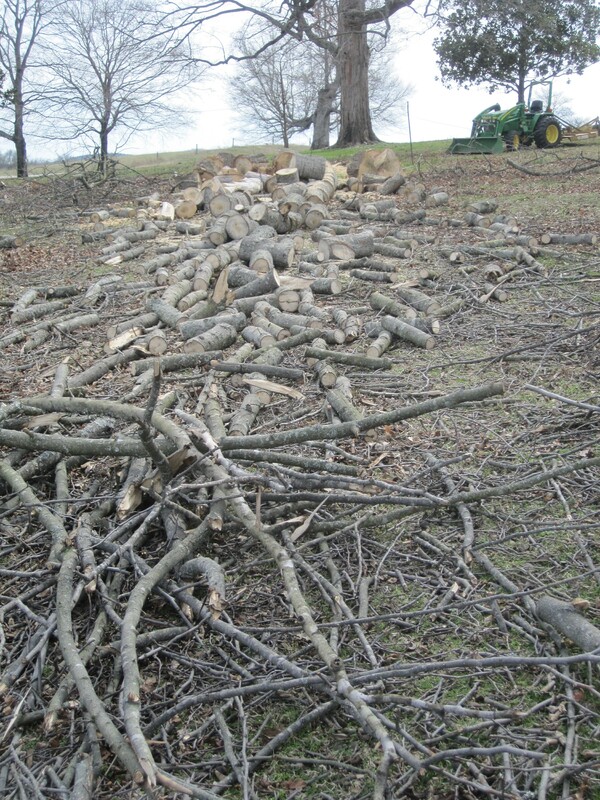 It’s now stacked in the barn and will provide lots of good fires for summers to come.